Home Discount offers this stunning new product with a modern stylish design, the Pet Cage. 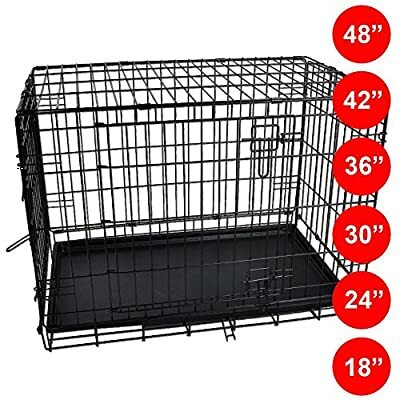 This expertly crafted pet cage is perfect for your animal such as a dog if your are training it, containing it or even if its just for your pets personal space. 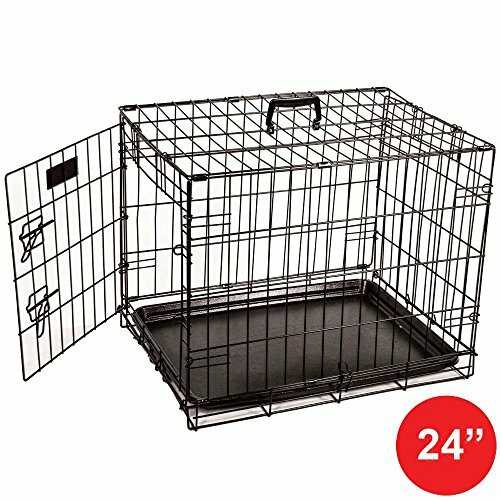 Made from strong metal, this cage is durable and sturdy. Each cage features two doors apart from the 24 inch cage which has one, a folding design and comes with a removable plastic tray. Please note that this item requires self assembly. This pet cage is available in 18, 24, 30, 36, 42 or 48 inch. 18 Inch: H 42 x W 49 x D 35 Cm Approx. 24 Inch: H 48 x W 61 x D 45 Cm Approx. 30 Inch: H 57 x W 78 x D 50 Cm Approx. 36 Inch: H 65 x W 91 x D 58 Cm Approx. 42 Inch: H 76 x W 107 x D 72 Cm Approx. 48 Inch: H 82 x W 125 x D 77 Cm Approx.